Michael was one of over 140 other participants from 31 states and 5 countries and representing 10 Orthodox jurisdictions, and Roman Catholic, Byzantine Catholic, and Lutheran traditions. 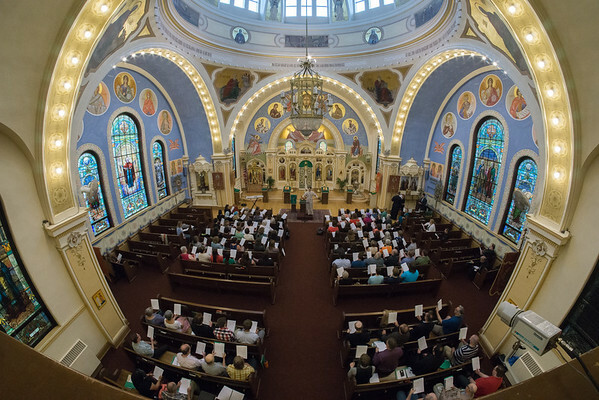 The five-day event sponsored by the International Society for Orthodox Church Music (ISOCM) concluded with a hierarchical divine liturgy on the Sunday of All Saints, June 26, 2016, celebrated by His Grace, Bishop Paul of Chicago and His Eminence, Metropolitan Elia of Oulu, Finland. 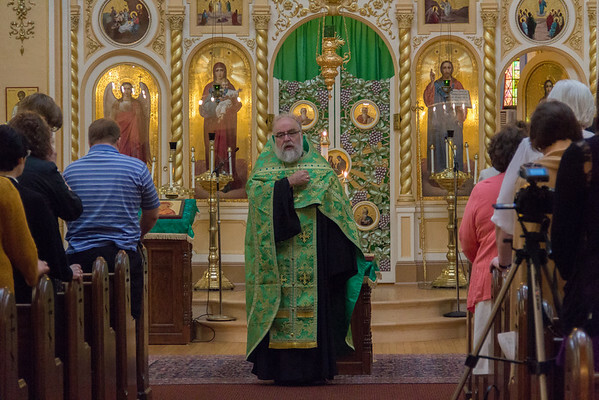 Participants sang new settings of the post-communion troparia by Father Sergei Glagolev at the liturgy and sang other new compositions written for the symposium. 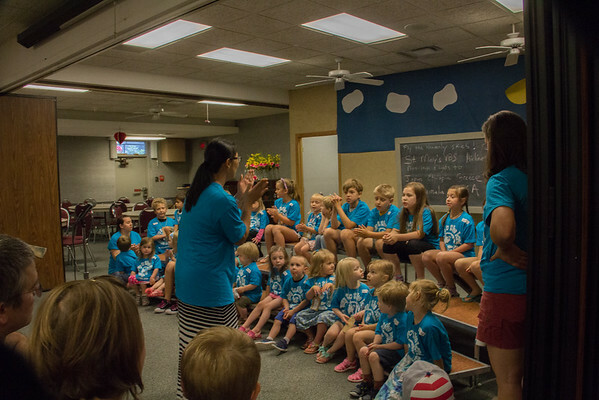 The youth of St. Mary’s Cathedral who were attending the parish’s vacation bible school sang parts of the vigil and liturgy with the over 140 symposium participants. 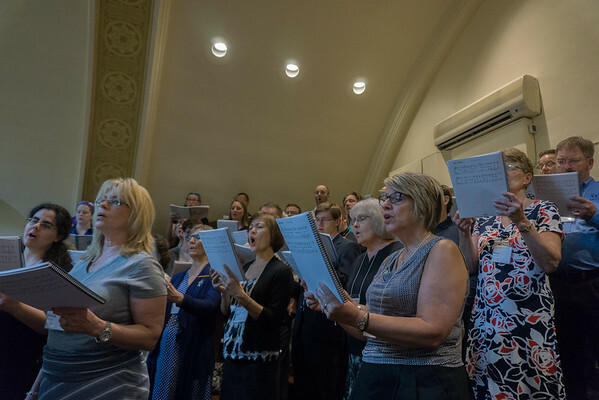 The symposium also included workshops on the use of Byzantine Chant in parish practice led by John Boyer, a session with Juliana Woodill on teaching children to sing, and learning from John Black on how to work with senior choir members. Formal presentations were also given by Dr. Kurt Sander on the theme of joyful sorrow in church music, Dr. Paul Barnes on the use of Orthodox music in concert settings, Dr. Nicoletta Freedman on balancing aesthetics with theology while singing or chanting. 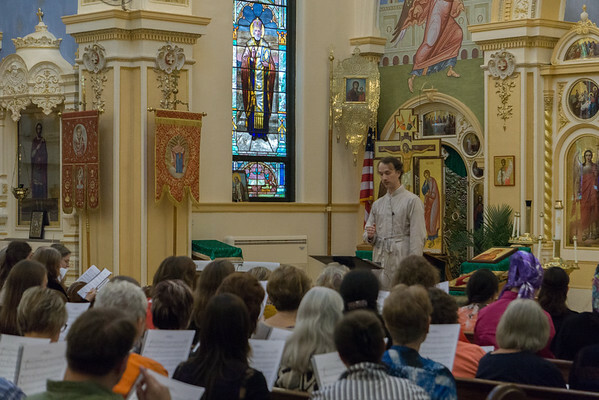 The keynote address was presented by Father Ivan Moody, board chairman of the ISOCM, exploring the idea that beauty, prayer, and music are inherent to our Orthodox ethos and liturgical experience. A working session explored the future of Orthodox church music and how participants can work together on topics including: church music for children, research and publications, leveraging social media, training of leaders and singers, engraving and transcribing music, and concerts and outreach. 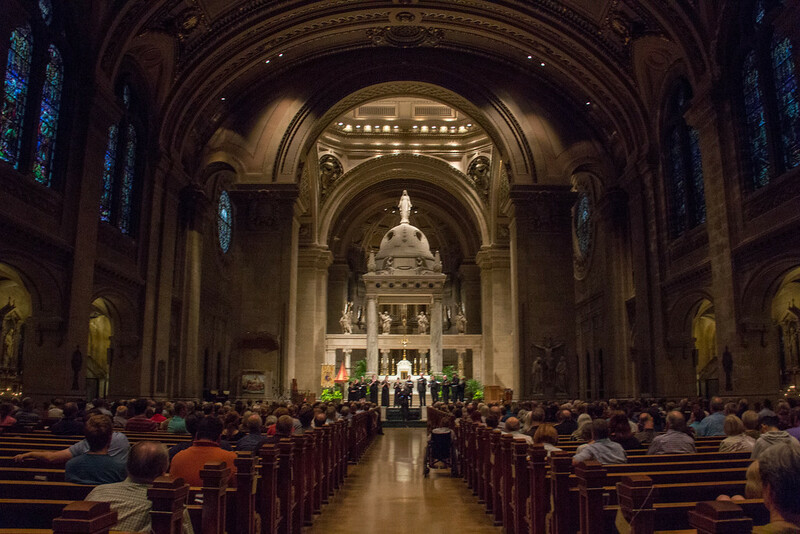 The results of this session will be shared in a formal letter which will be sent from the ISOCM to the North American Assembly of Bishops and the music departments of each jurisdiction. 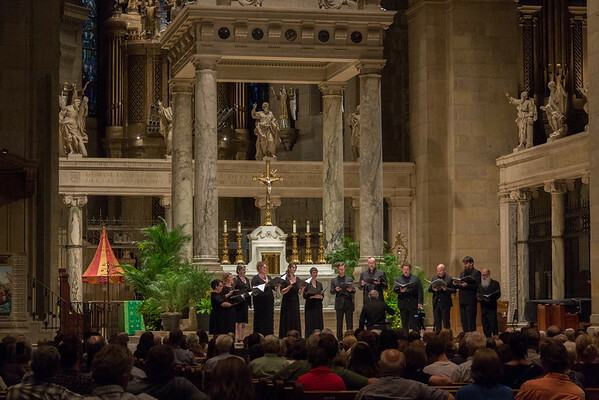 The International Society for Orthodox Church Music (www.isocm.com) works to increase awareness of Orthodox liturgical music and chant by hosting gatherings around the globe, publishing resources and proceedings from its events and facilitating research studies which explore the many facets of Orthodox Christian music. This entry was posted in Featured News, News and tagged David Lucs, Father Ivan Moody, ISOCM, Orthodox Christian, Symposium Highlights by Orthodoxy Cognate PAGE. Bookmark the permalink.